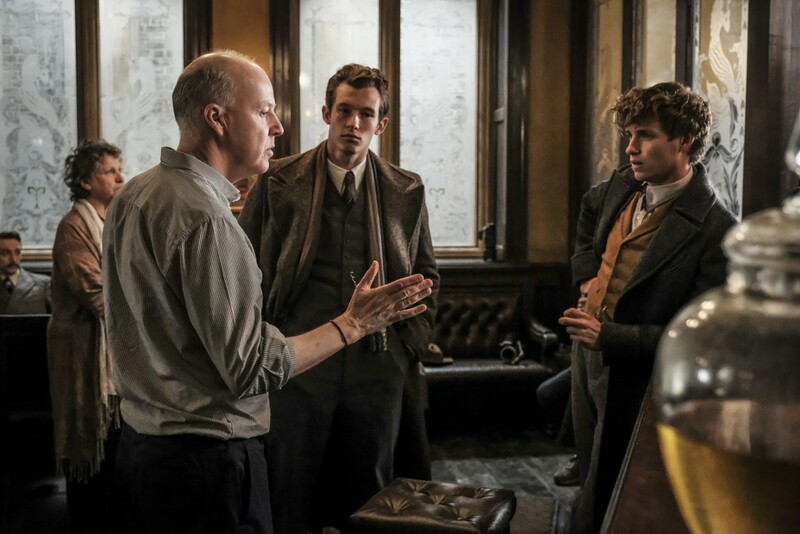 Callum Turner is a fan of Harry Potter, so when we got to speak to him on the set of Fantastic Beasts: The Crimes of Grindelwald, we were thrilled to hear all about his love of the series, his excitement at meeting J.K. Rowling, and the deep understanding of Theseus he’d developed whilst preparing for his role! “I was really, really excited about workshopping it with David and Eddie, ’cause obviously David’s like one of the best directors we’ve got in England, and I think Eddie’s the same as an actor, and I followed his career upwards basically and kind of in a sense not tried to model but have been lucky to be able to go and do American indies like Eddie has, and I was very impressed and inspired by the choices that he makes. So I was over the moon to just go and meet him. We saw Theseus Scamander’s wand in the prop department with Pierre Bohanna, and Callum told us how he made his choice, and how he managed to break it in a camera test on one of his first days! Eddie Redmayne told us Callum actually inspired some of Jo’s vision of Theseus by sharing his thoughts on his character, so Callum is being modest, by the sounds of it! 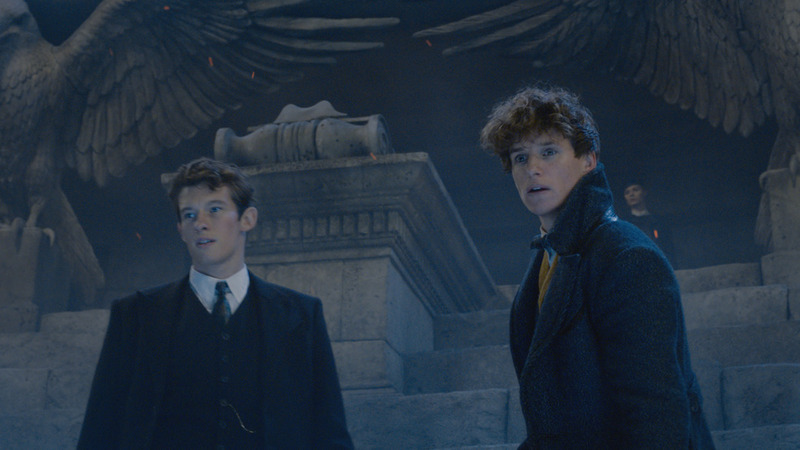 How difference is Theseus to Newt? He sounds a lot like Percy, in many ways, but perhaps a bit less of a ‘pompous prat’, as Fred and George might have said! “There’s this like wand school type thing – my thinking behind holding my wand was [that] I did a movie a few years ago where I played a punk, and I learned a little bit how to play drums, not very well, but the way that they hold the sticks is quite interesting, drummers. I wanted to incor[porate that] for some reason. 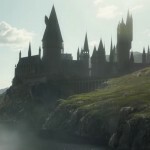 Keeping up with the theme of travelling to Latin America in future films (see our interview with David Yates, and J.K. Rowling’s tweet), Callum says he thinks it would be cool to see Amazon tribes from the wizarding world in one of the films – here’s hoping! Fantastic Beasts: The Crimes of Grindelwald releases in theatres on November 16th. Catch our report from the Art Department with Martin Foley here, our walk through the French Wizarding World sets here, plus interviews with the Prop Department’s Pierre Bohanna, director David Yates, producer David Heyman, Eddie Redmayne (Newt Scamander), Ezra Miller (Credence Barebone), and costume designer Colleen Atwood. 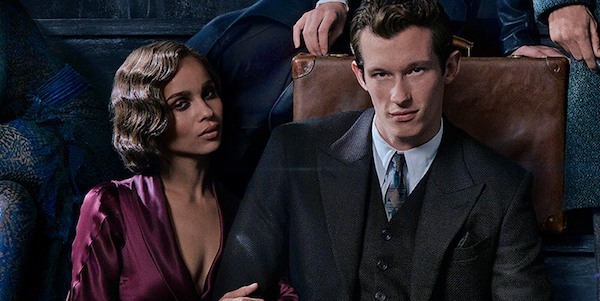 Leaky would like to thank Warner Bros for this exclusive coverage of yet another instalment in J.K. Rowling’s Wizarding World, and Callum Turner for generously giving his time to talk to us more about ‘Crimes of Grindelwald’!